Gadgets dominate our lives, and you can always start these days with dad’s phone. If he has the latest and greatest, don’t even bother. But if he’s still tied to his lame flip phone, then of course you can go with an iPhone or a new Android phone to get him into the 21st century. If you’re looking for something a little different, we’ve put together some ideas for you. And for more great suggestions, be sure to check out the other categories in our Father’s Day gift guide. We’re starting to see a new wave of innovation following the introduction of Microsoft’s Surface tablet, giving users gadgets that function as a tablet and a notebook computer. HP has introduced two new models with the HP SlateBook x2 and the HP Split x2, two detachable PCs that offer the full functionality of a notebook with a removable screen that also serves as a sleek tablet. 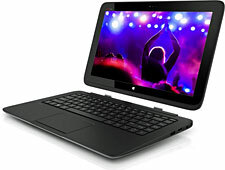 The units are powered by the Android and Windows 8 operating systems, respectively, so you have some flexibility here. By releasing the magnetic hinge, users can move between the tablet and notebook PC with remarkable ease. These are great for dads who care about sound quality. We’ve reviewed many headphones over the past several years as the popularity of mobile music continues to explode and more consumers look at their headphones as a fashion statement along with being a necessary gadget. We’ve seen many fashionable designs and impressive-sounding headphones, but the NuForce HP-800 headphones stand out for sound quality. 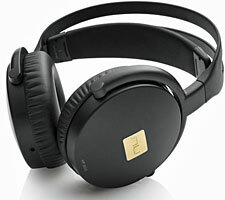 That shouldn’t be surprising, as these headphones were designed for the audio enthusiasts. The sound quality was incredibly clear but never harsh. You can pick up various all of the nuances while really feeling the full base. The goal was to capture the “natural warmth, realistic highs and visceral bass” of the recordings and we feel that has been achieved. These over-ear headphones are very large and comfortable, with ear cups made with a “human-protein” leatherette covering that is super-soft. It comes with a handy clothe carrying case along with one cord for you portable electronics and another for studio use. Yes, audiophiles can use this with premium audio or studio equipment and be very impressed with the sound quality.